The 1st International Specialized Exhibition "InterAgroBusiness" took place in Odessa from October 15 till October 17, 2009.
of Ukrainian Farmers "Ukrainian Agribusiness Club". The InterAgroBusiness 2009 was opened by Nikolay Kiseolar, Deputy Head of the Odessa Regional State Administration, Emzar Dzirkvadze, Minister of Agriculture of the Adzharsky Autonomous Republic of Georgia, Dr. Volker Sasse, First Secretary of the German Embassy in Ukraine, and Eugene Milovanov, Chairman of the Board of the Organic Federation of Ukraine. and organic food and products at the show. of Ukraine to exit out of the economic crisis" was organized by the Organic Federation of Ukraine. Leading Ukrainian and international experts discussed perspectives of organic production in Odessa region, its technological features, procedures of organic inspection and certification, possibilities of effective sale of organic products in Ukraine and on the foreign markets. 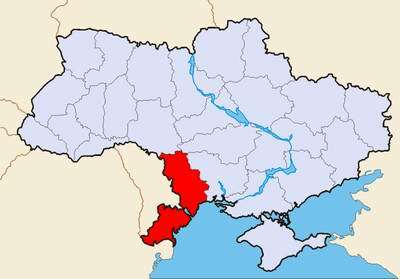 Odessa region is located in the far Southwest of Ukraine and borders on the Ukrainian regions of Vinnytsia, Kirovograd, and Nikolaev, as well as on the borders of Moldova, Romania and the Black Sea. Odessa Oblast is the largest region of Ukraine with a total area of 33,300 square km. While this is approximately the size of Belgium or the Netherlands, the Odessa region covers not more than 5.5% of Ukraine's total territory. The capital city of the region is Odessa, one of the largest cities in Ukraine. of total population and it creates almost 50% of regional budget. About 70% of the total area of Odessa region is agricultural land. Natural conditions are favourable for growing winter wheat, maize (corn), barley, millet, sunflower, fruits, vegetables, grapes and sugar beats. More than 1,000 enterprises and more than 7,000 private farmers are working in this sector. The main branches of agricultural production in the Odessa region are plant-production (grain, sunflowers, fruit-, vegetable-, and wine-growing) and livestock breeding (cattle, pigs, sheep, poultry). More than 3,000 heads and specialists of agricultural enterprises, farmers, livestock breeders, representatives of agro-processing enterprises, as well as domestic and foreign traders visited InterAgroBusiness 2009 in Odessa. All exhibitors were satisfied or highly satisfied with their participation in the fair, the quality of the trade visitors and established contacts. Be welcome to take part in the 2nd International Exhibition InterAgroBusiness 2010!